This group of 40 prints from the exceptional Daniel Cowin Collection captures the tumultuous aesthetic and political climate of the years surrounding World Wars I and II. An essay by Jonathan Black addresses the impact of World War I on two notable British printmakers, Edward Wadsworth and C. R. W. Nevinson. 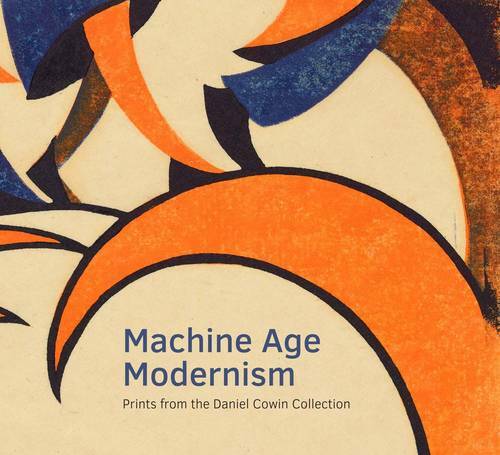 A text by Jay A. Clarke delves into the linocut movement of the 1920s and '30s, investigating how the role of style and politics impacted this movement as well as the previously unexplored position of women printmakers and the interplay between gender, craft, and decoration. Influences of Futurism, Cubism, and the short-lived but vibrant abstraction of the Vorticist movement saturate the powerful color images, which are accompanied by artist biographies. This publication illuminates the struggle of these radical printmakers as they navigated a conservative market and the harsh economic and political realities of their time.